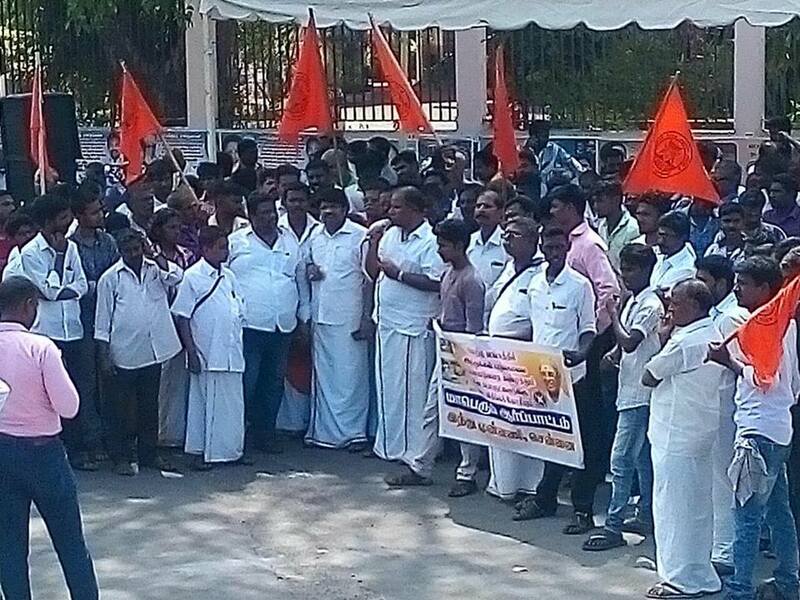 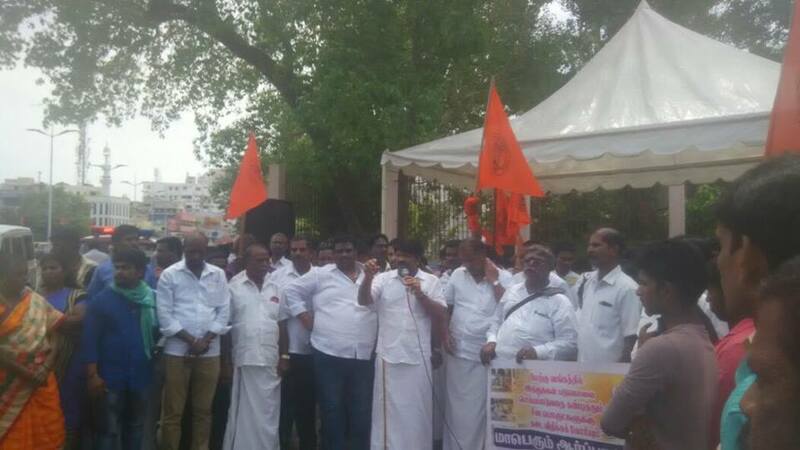 Hindu Munnani held a protest demo condemning the atrocities, violence in West Bengal and a call to boycott China products yesterday in Chennai. 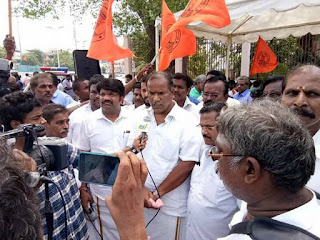 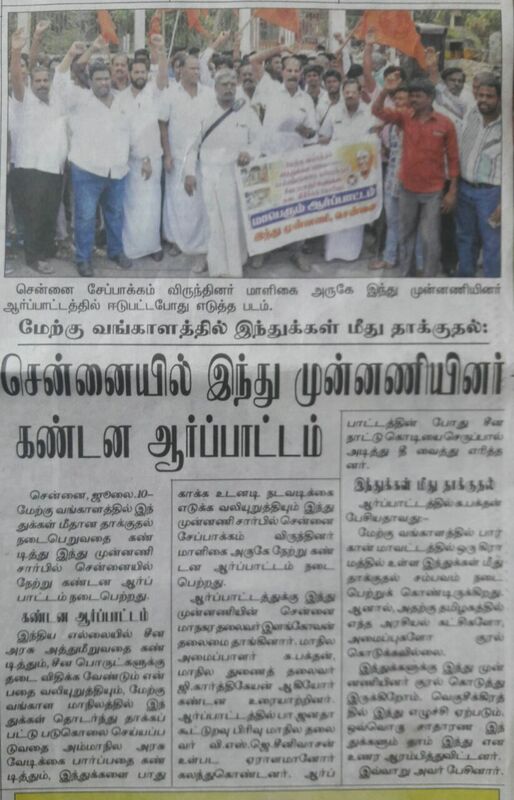 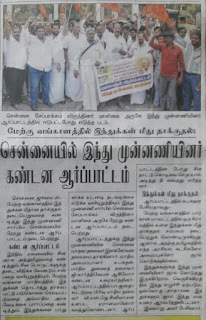 Hindu Munnani volunteers raised slogan in protest and the Organiser of Hindu Munnani condemned the silence of politicians to act upon and appealed the media to bring awareness on the incidents happening in Bengal. 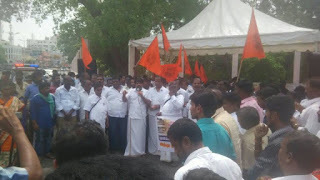 Shri Elangovan, City President, Shri Karthikeyan, State Vice President Hindu Munnani and others participated in the protest demo.